A few years ago, MTV produced a program called "Slednecks," a show about youths drinking in Wasilla. At that point, I made the bold claim that we (Alaska) were going to state (for TV). I take that back. Now, there is an Alaskan on "Top Chef" and we are actually going to state. "Top Chef" is a legit good cooking competition show on Bravo that premiered Season 15 on Thursday. And by "legit good," I mean people who read The New Yorker watch and enjoy it un-ironically. This season takes place in Denver, Colorado, and is really focusing on the rustic — which should suit Alaska chef Laura Cole, of 229 Parks Restaurant, well. 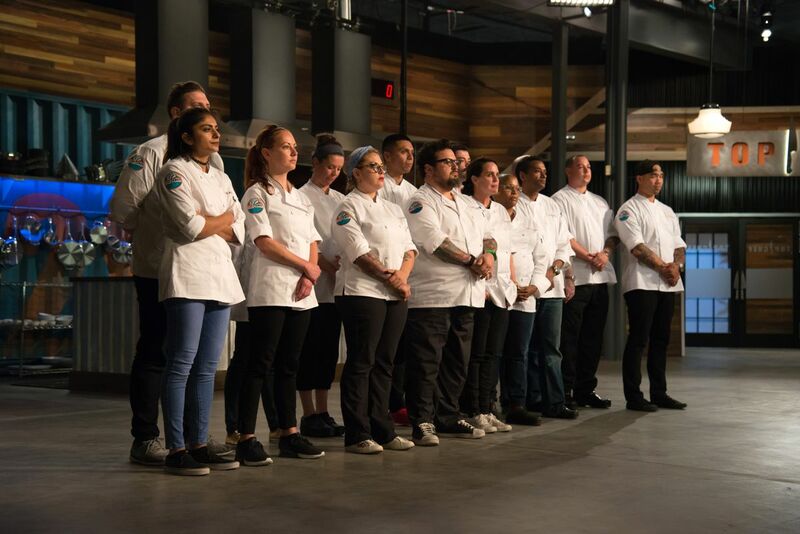 In the season premiere, we meet the 15 chefs from all over the country. They specialize in cooking different cuisines, from "Pakistani street food" to "soul foods meet Amish" (whatever that means). Their first challenge is to prepare something for a potluck, and Chef Laura Cole finishes in the middle of the pack with an eggplant dish. My early favorites are two men, Tyler Anderson and Bruce Kalman, who bond over being the "fat boys with sleep apnea machines," and therefore room together in their shared house. They also recruit another chubbier man to their room by saying "he's younger, but he'll have one soon." Chef Laura Cole's narrative is a little different and 99 percent focused on her Alaska-ness. In advance of their first elimination challenge, they drive to a Whole Foods to go shopping, and Cole has a conversation with chef Joseph Flamm from Chicago, Illinois. They are discussing her unique restaurant near Denali National Park, and Cole says, "As far as Alaskan proteins, we have seven reindeer going to slaughter this summer." In an interview, Flamm then says, "I watch a lot of 'Alaska: The Last Frontier.' Laura seems like she falls in line with an Alaskan lady. I mean that as a compliment." As we all knew, you can't go anywhere as an Alaskan without eventually talking about Alaska reality TV shows. Even in a car on the way to Whole Foods on another reality TV show. Cole then gets to Whole Foods and the camera follows her the entire time they are at the store. Since we don't have Whole Foods in Alaska, she is the only chef that doesn't know the layout. However, she says that from watching every past episode of "Top Chef" with her son, she knows to go to the meat department first. TV research for the win. Their first challenge is a modern take on "meat and potatoes" that they'll serve to 200 people in downtown Denver. Cole decides to make a flank steak sandwich with potato bread, but after all the ovens are being used, she has to improvise on the bread front. She compares this to a moose coming through your garden and eating all your cabbages. She's really toeing the Alaska plotline and I appreciate it. She ends up once again in the middle of the pack. Time will tell where she'll end up on "Top Chef," but I double watched the "This season on…" and there were only a few clips of her, so I'm not hopeful that she'll bring enough drama to get much screen time. "Top Chef" airs Thursday at 9 p.m. AST on Bravo.